Rebecca Gayheart Says Thank You! Rebecca Gayheart sends a photo thank you for her baby basket from Hollywood Baskets. Octavia Spencer favorites our tweet! Octavia Spencer favorites our tweet 🙂 She loves her gift bag!! Thank you for the gift she gave me and the girls. What a doll! Oscar Gifting Suite Photo Gallery on Facebook! 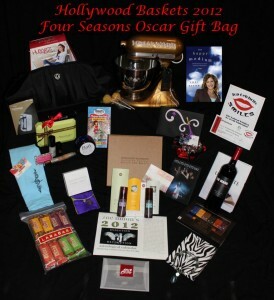 http://articles.cnn.com/2012-02-23/entertainment/showbiz_oscars-gifting_1_oscar-nominees-oscar-bag-gift?_s=PM:SHOWBIZ Check out our coverage on CNN!!! !